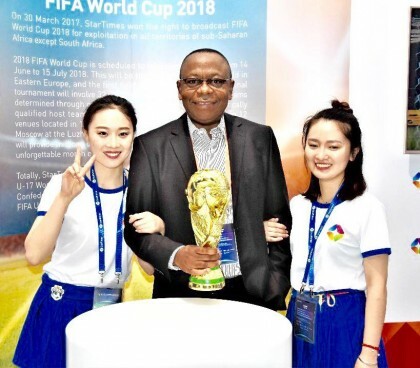 StarTimes wins the right to broadcast World Cup 2018 for exploitation in all territories of sub-Saharan Africa except South Africa. This was monitored on Mr. Maxwell Loko social media platform, when he posted yesterday. Mr. Loko the Managing Director TV Enterprises of NTA and also double as the leader of Nigeria in the collaboration with the Chinese company the parent owners of.StarTimes. It will be recalled that last year they earned.license right to air the Bundesliga and the Italian League and promise soon they will also add the English Premier League to their sport bouquet. Mr. Loko said “keep a date with us from 14th.June – 15th July, 2018,” signifying the beginning to end of the Russia 2018 world cup. NTA StarTimes operation in Nigeria is a Joint Venture with the Nigerian Television Authority (NTA) and the products offering in Nigeria include Digital Television Sets and digital decoders to serve the masses of Nigeria. They are deploying a unique technology that allows Digital TV to be offered to subscribers at an affordable price.